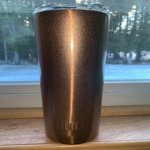 The BUILT 20-oz Double Wall Vacuum Sealed Stainless Steel Cup will keep your favorite on-the-go beverages hot for six hours or cold for twenty-four hours. It features a straight, slim design that fits in most vehicle cup holders. 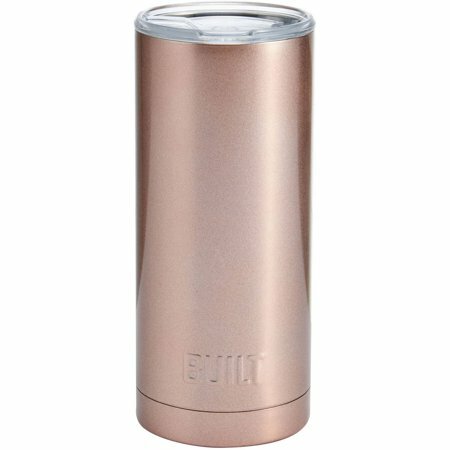 The BUILT Mug comes with a screw top that provides a secure fit and a slide lid to help keep beverages at optimum temperature and prevent spills. Hand washing is recommended. Such a great tumbler for the price. Iâm a slow coffee drinker and normally reheat my coffee multiple times. I never have to reheat my coffee with this ! Love these tumblers. Well made, keep drinks cold for over 12 hours. Right sized, and made great Christmas gifts too, which I laser etched a design on. 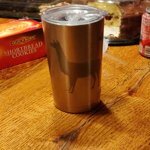 I really love these 20oz tumblers, my husband really loves these tumblers! Although they are 20 ounces they still fit nicely in my hand. We have tried high end and low-end similar products and this is the winner after years or trying stuff. Your cold drinks stay freezing cold and your ice lasts for ages with of course no sweating with the double walled construction. Your hot drinks stay hot. We like them so much were collecting them for our day to day use. If I am inside I just use the tumbles with no lid, if I go outside I have a nice lid to keep the bugs out. So far we have gunmetal (gray), metallic teal, purple, rose gold and stainless steel. They are all nice and shimmery looking without looking gaudy. I just bought another as a gift for a friend. I love this mug! Not only is is an adorable rose glitter color but it kept my coffee piping hot for over 4 hours... im a busy mom abd not having to heat my coffee up 12 times then eventually leaving it in the microwave means more then i thought, thanks for a great affordable product! This cup is amazing! I can put ice in it at night and wake up in the morning to still have ice in it. Not all the way to the top but a whole lot. I never have to worry about putting it on furniture because it never ever sweats. I use it with a straw and drink ice water from it all day. It's the best bargain! Look at the price. You can't beat it. I thought this cup was my little secret find but apparently a few others have found out about this treasure. Hopefully the price stays the same.